1. First, mix all the bar ingredients in a bowl using a spoon or spatula, until you get a dough you can mold with your hands. If the dough is too sticky, add a bit more of the ground almonds until you get to the right consistency. 2. Divide this dough into four balls and then shape them into rectangles (use a hard surface to create angles by just pressing the bars against the flat surface on every side). 2. Once your dough had been shaped into four bars, melt your dark chocolate in a bain marie (a bowl on top of a pot of boiling water). 3. Dunk the bars in the chocolate or, if your bars are too soft and you fear they’ll fall apart, use the ‘Bed Method’ outlined in the ebook (it entails you basically laying out a ‘bed’ of dark chocolate, placing the bar on top, and pouring melted chocolate on top and on the sides of the bar until you cover the whole thing). 3. Transfer the bars to the fridge for an hour or two or until the chocolate has set. Macros per bar (out of four small ones): 191kcals, 10g protein, 7g carbs, and 14g fat (mostly from the coconut and almonds). 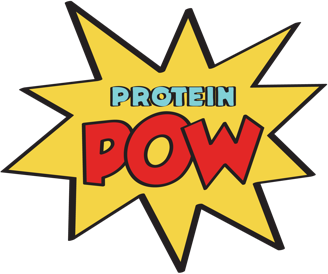 PS: Since it’s still October, the Protein Pow Holiday Recipe Ebook is still $3.99. Once we hit November though, it’s going back to its regular price of $9.99. So if you want to get it for a fraction of the price you would if you bought it closer to December, get it this month. Here’s the link to get the ebook – it features all KINDS of healthy protein pow nommage, including what are seriously some of the best protein Christmas cookies I’ve ever tasted. Here’s the full table of contents!